Today, the first full day after the TABI Conference 2012, Mr Wolf comes out to join me. 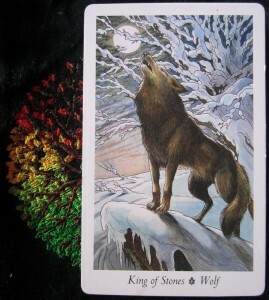 I always think of him as howling in the first instance, but protector in the second instance. Which one does he come up as for you in the first instance? As I check the book, he’s the page I went straight to. 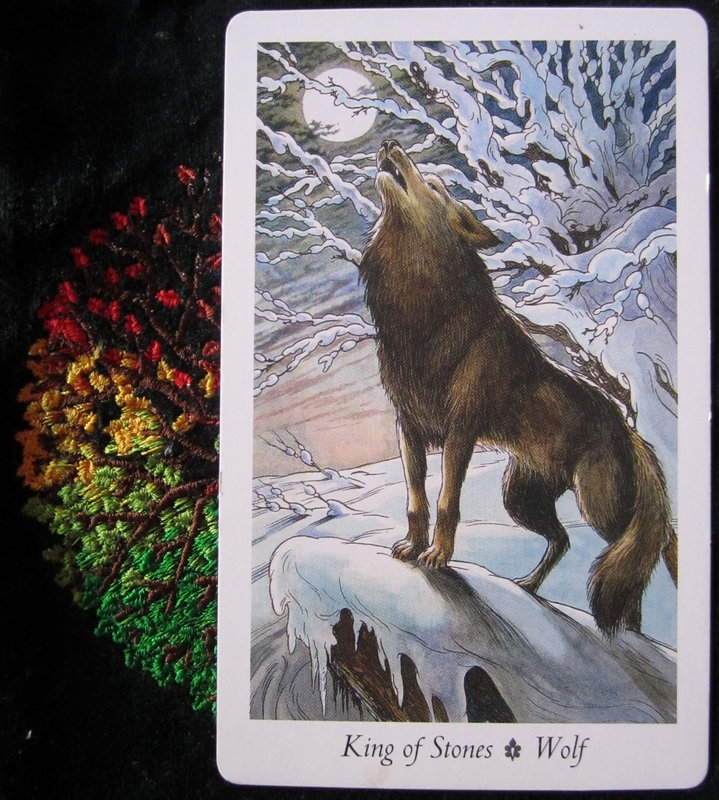 I went looking for the tracks and pathways, for I don’t see the King of Stones in the same way as the King of Pentacles, though they’re each other in their respective decks. But his message I feel is finally getting through. In a way, he’s a part of the Woodward that came out over the weekend. Both aspects of the Wolf have hit me as a result. I have to ask: Why? at the attacks, which I feel is totally unwarranted and more unnecessary than anything else. So again, it’s protection, defend, family, loyalty, determination, steadfastness…. and a headache! So, I’m off now to hide in my den, shift this headache and come up defending the pack tomorrow.